Best Buy (BBY) is expanding its product line by offering Eurocom’s line of high performance, premium laptops through Bestbuy.ca and Futureshop.ca online stores. Best Buy approached Eurocom, looking to offer a more high end, performance based, professional grade offering to their customers. Adding specialized Eurocom premium products to Best Buy’s current offering allowed an expansion of the product scope beyond standard products to capture new, growing markets. 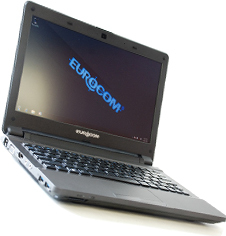 Eurocom is now offering a full line of nine systems ranging from the ultra portable 11.6” EUROCOM Monster high performance gaming system, the 15.6” EUROCOM Racer 2.0, 17.3” EUROOCM Neptune 2.0 to the 3D enabled 17.3” EUROCOM Scorpius. Eurocom is an ideal partner for Best Buy customers as the configuration facility is located within Canada, ensuring fast and efficient delivery anywhere in Canada. A high quality Eurocom manufacturing and product testing process protects customers and helps to confirm all orders are perfect. “As a Canadian Company, we are extremely happy to be offering a full line of our great, Canadian Made notebooks to Canadians through Best Buy and Future Shop online stores” Eurocom President Mark Bialic. The Eurocom line of gaming and professional configurations offer customers a great deal of choice in selecting the optimal price range, performance and specifications, chassis and display size from 11.6” to 17.3”, graphics and 3D capability. The line of EUROCOM Notebooks available online through Best Buy and Future Shop gives customers the ability to choose the exact system they require, from small, ultraportable, high performance 11.6” Monster all the way to the ultra high performance dual NVIDIA GeForce GTX 680M 3D EUROCOM Scorpius. Ordering product on BestBuy.ca or FutureShop.ca is a very easy process. Customers simply find the product they are interested in, add the product to your cart, add your postal code for tax purposes, then just simply add your shipping and payment information and wait for the system to be delivered to your door or local Best Buy of Future Shop store for pickup. Eurocom notebooks available on Bestbuy.ca and FutureShop.ca receive next day shipping within Canada and are protected with a one year warranty.